PM Narendra Modi asked the youth to dedicate themselves to social causes to create a new India. New Delhi: In the 34th edition of his radio programme, 'Mann ki Baat' last month, Prime Minister Narendra Modi had called upon the citizens of India to observe this Independence Day as 'Sankalp Parva' and urged them to dedicate themselves to social causes and share their ideas to creating a new India. As he asked them to pledge to free the country of the evils of poverty, terrorism, casteism and communalism in the next five years, he said, "Let us come together and resolve: Dirt-Quit India; Poverty-Quit India; Corruption-Quit India; Terrorism- Quit India; Casteism-Quit India; Communalism-Quit India!" While remembering the father of the nation, PM Modi said, in 1942, Mahatma Gandhi gave a clarion call Karenge Ya Marenge (Do or Die), but today, it is Karenge Aur Kar Ke Rahenge (we will do and surely do). 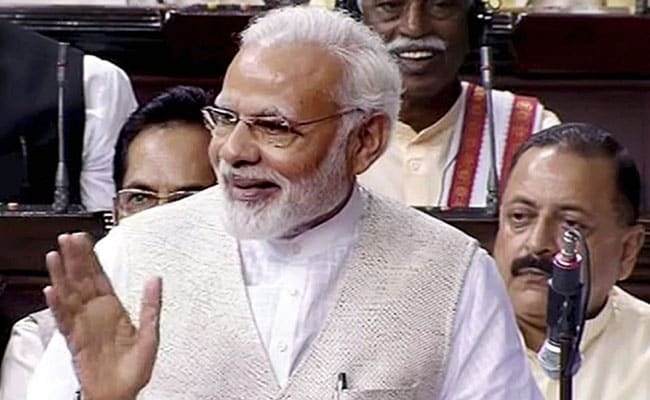 During a discussion in the Lok Sabha on the 75th anniversary of the Quit India Movement on August 8, he said that just as the five years from 1942 to 1947 were decisive for the country's independence, these five years from 2017 to 2022, when we celebrate 75 years of India's Independence, will play a decisive role for the future of India. "Let's launch a mega campaign 'Sankalp se Siddhi'-Attainment through Resolve. The next five years should also be about Sankalp Se Siddhi (pledge to achieve), a resolve which will lead us to accomplishment," he said. "This five-year period can ignite the transformation that will create an India, which our freedom fighters will be proud of," a Ministry of Personnel order to celebrate Independence Day on August 15 as the 'Sankalp Parva' said.